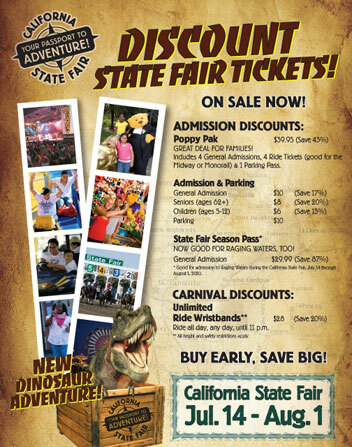 “Your Passport to Adventure” – The Cal Expo fairgrounds come alive every summer as the California State Fair becomes a city within a city that hosts nearly one million visitors. Folks come from near and far for the memorable delights of this extravaganza that includes exciting exhibits, amazing attractions, live entertainment, and the Magnificent Midway. 110,000 attendees expected. 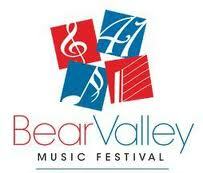 Find out what is going on; Concerts, Entertainment, Contests & Competitions, Attractions & Exhibits, Horse Racing. The City of Stockton Community Services Department presents the annual series in partnership with the Stockton Musician’s Association. 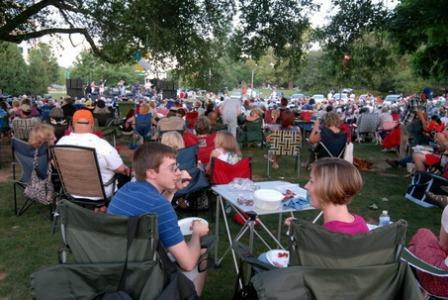 Spend an evening in the Victory Park (Pershing & Argonne) with your favorite person, a picnic supper, and some great music as the Concert in the Park series continues for the 57th year! Every Wednesday beginning June 9 – August 25th from 6:00 p.m. to 8:00 p.m.
New produce vendors this year include Windy Hill Farms of Waterford and Hickman Chicks. A number of community groups will once again have displays, and other businesses will also have booths with their goods. Another first time offering will include artists displaying their work at the market. And entertainment will be featured each week. Downtown Lodi – School Street – Time: 5 p.m. 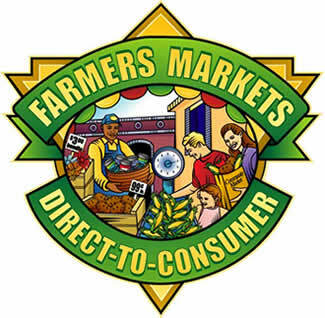 The Downtown Certified Farmers Market is the family friendly market held every Thursday evening beginning in June throughout the end of September. Over 25 certified farmers offer an array of fresh produce, wine and flowers. 50 homemade and commercial arts and craft vendors line the streets of downtown attracting over 5,000 attendees each week. An upscale beer and wine garden which showcases local breweries and wineries is located adjacent from the entertainment stage. Celebrate the Bounty! The Downtown Dixon Business Association with the help of the City of Dixon brings the Pacific Coast Certified Organic Farmer’s Market to downtown every Thursday starting Thursday, May 20 through mid-September 2010, from 4 to 8 p.m. in the Women’s Improvement Club Park next to the Dixon Public Library on the corner of North First and East C Streets. Friday Night Farmer’s Market is in full swing in the heart of Old Town Clovis. Sample fresh, delicious fruits and vegetables, grown here in the nation’s finest agricultural region, each in the peak of season! Great groups to see and listen, held at Dorada Park, A Street and 2nd Avenue, Oakdale, CA. 2009’s line up consisted of the following; Classic Rock, Country, Blue Grass, Contemporary Christian Rock, and the Community Band. Come one, come all to Concerts in the Park! Sponsor ops also available: be an IDOL, GROUPIE, FAN, or SPECTATOR! Contact the Chamber for more information (209)847-2244. An affectionate paean to Smalltown, U.S.A. of a bygone era, Meredith Willson’s “The Music Man” follows fast-talking traveling salesman Harold Hill as he cons the people of River City, Iowa into buying instruments and uniforms for a boys’ band he vows to organize – this despite the fact he doesn’t know a trombone from a treble clef. His plans to skip town with the cash are foiled when he falls for Marian the librarian, who transforms him into a respectable citizen by curtain’s fall. Concert of classical & original contemporary works by musicians of Azorean descent from USA, Canada, Brazil and Azores Islands. Musicians selected by special program of the Azores Government to disperse music and culture. Located at the Sacramento Museum, 1020 “O” Street, Sacramento, for more information call (916) 391-7356-FREE Admission. The American Steel Car Club hosts the annual “Stuck in Lodi” Car Show downtown in the month of August. Street rods and classic cars line the streets of downtown Lodi (Pine & School) accompanied by a poker walk, live music, raffles, and awards. Call for information at (209)367-7840. Join us for the Downtown Dixon Business Association’s First Pork Rib & Chili Cook-off. Delicious Barbecue, Great Chili, Cold Beer, Local Dixon Wine & Live Music. CAR SHOW All day, ol’fashioned street fair, crafters, specialty gifts, fun gadgets. For the kids face painting & bounce houses & snow cones! Regional Go Kart Club Races for all ages located at San Joaquin Fair Grounds (Airport & Charter). Starting at 5 years old the kids learn the basics of racing all the way up to 70 years old for those who like to stay in shape. The track is open year round for practice and play. Come out Tuesday thru Sunday and experience the “Fastest growing family motorsport in America !” Check our website for a full year’s calendar of events. The five-tier, horseshoe-shaped amphitheatre at Ironstone Vineyards has become a favorite among locals and travelers, who come to enjoy a variety of events in the amphitheatre, including the Ironstone Summer Concert Series, which features world class performers in one of the most unique and beautiful settings in the world. Come to Murphys this Summer and enjoy some great music, food, wine and fun!